I am quite often asked which style of Teepee I make the most of. Lately most of my orders are from customers who have been supplying their own fabrics so each one is different. 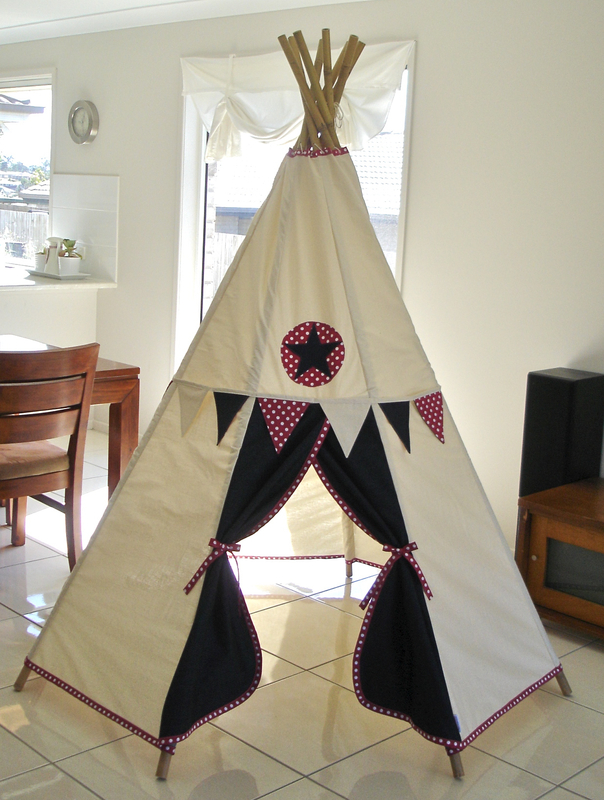 But this Basic Teepee with the Red Spot trims is definitely the number one seller. 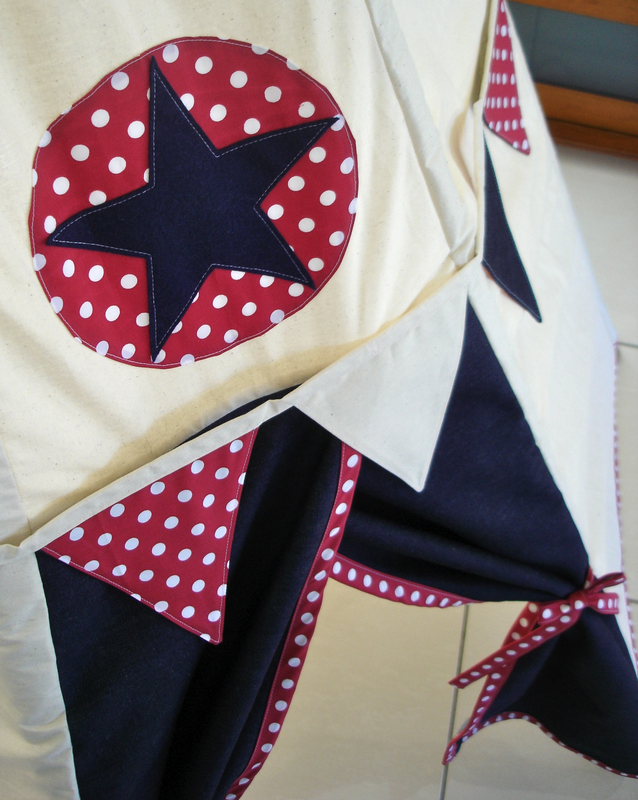 With it’s classic colour scheme of red, white and blue it will work perfectly as a boys Teepee but also as a girls Teepee. I LOVE reds paired with pinks to decorate a girls room. Simply change the star on this Teepee to a heart and you’re all set for a girl. And to add a little more of a girlie flair, change the triangle bunting to half circles for that softer pretty look.